"With Appsembler, we’ve been able to build a scalable learning machine that makes our customers, employees, and partners more successful." About: Redis Labs is the open source home and commercial provider of Redis, the world’s fastest in-memory database platform and the world's “Most Loved Database.” With Appsembler's Tahoe and Virtual Labs products, Redis launched Redis University, the #1 online destination for Redis users and enthusiasts to learn from peers and the world’s most renowned database experts. About: Cybereason is the leader in cybersecurity data analytics. In a rapidly evolving market with thousands of end users, employees, and partners across the globe, Cybereason needed an agile training solution that would scale as quickly as they were growing. Cybereason and Appsembler partnered to build a digital training platform. 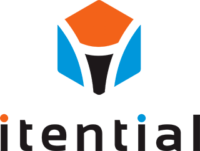 About: Itential provides powerful network automation software to companies worldwide. In order to keep pace with growth, Itential partnered with Appsembler to bring their entire training program online and into the hands of their learners with immersive, flexible, and scalable lab environments. About: Microfacturing Institutes is on a mission to provide learners of all ages with industry-driven, interesting, and highly marketable skills relevant to the rapidly growing fields using Internet-of-Things (IoT) and Artificial Intelligence applications. Microfacturing Institutes believes IoT technology is fundamental to nearly all industries, and represents one of the most valuable skill sets in the modern economy. About: With more than 4,000 customers and millions of users worldwide, JFrog is changing the way software artifacts are managed, released and updated. JFrog provides software developers with a binary repository management solution, and partnered with Appsembler to develop an online training program for their employees and customers. About: InterSystems is industry-leading vendor for database management, rapid application development and integration, and healthcare information systems. InterSystems partnered with Appsembler to scale their training program and provide their learners with hands-on Virtual Labs. About: Metalogix provides industry-recognized management tools provides and content lifecycle management solutions for Microsoft SharePoint, Exchange and cloud platforms. Metalogix and Appsembler partnered to transform the way training and sales enablement would be delivered internally and to customers and partners. About: Aquent provides specialized staffing services by matching marketing and creative professionals with the companies that need them most. Aquent and Appsembler partnered to launch The Gymnasium online learning platform to train thousands of professionals and prospective job candidates. About: The UW Professional & Continuing Education is a global leader in lifelong learning and skills training. The university partnered with Appsembler to provide online, self-paced courses to their learners.